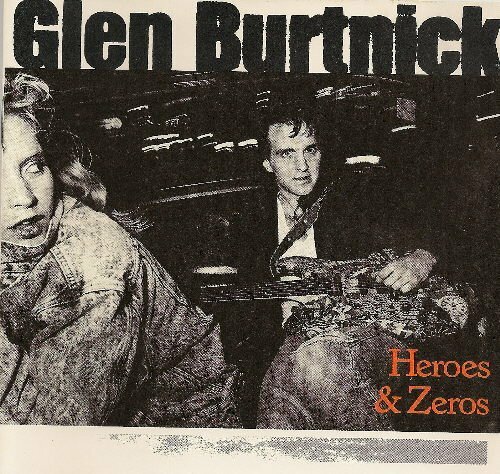 Order 'Heroes and Zeros' by Glen Burtnik, available from Amazon.com by clicking on the album cover above! GLEN BURTNIK podcast excerpt: "Sometimes we would know ahead if Bruce Springsteen was going to show up and play with us (Cats on a Smooth Surface) on stage at The Stone Pony. But usually he would just hang. Often I would know he was in the bar because the audience would suddenly change. They would come to the edge of the stage and just stand there staring at us. And we'd realize, 'They're not really watching us -- they're waiting for something...' One time, Bruce was at the bar, but he didn't do anything. We finished our set and it was encore time. I walked out the stage, the audience was clapping to bring us back on, and there was Bruce walking away on the sidewalk. I said, 'Hey, Bruce -- you wanna play?' He said, 'I don't know...' I said, 'C'mon!' and he said, 'Aw, alright!'" 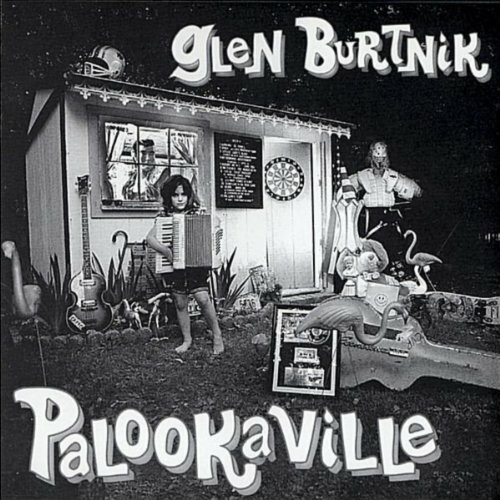 Order 'Palookaville' by Glen Burtnik, available from Amazon.com by clicking on the album cover above! GLEN BURTNIK podcast excerpt: "I did not initially approve of 'Beatlemania,.' I thought it was a cheap imitation kind of thing. But as a young musician, looking for breaks, I auditioned. When I passed the audition, I still wasn't sure I wanted to do this. The musical director said, 'Have you ever seen the show? Come with me.' It completely got me. I always wanted to be a Beatle and there it was: four guys on stage in this beautiful theater, playing songs I grew up with -- how could I say no?" he Palace, Asbury Park, New Jersey (Photo (c) 1987 by Bob Andelman. All Rights Reserved.) 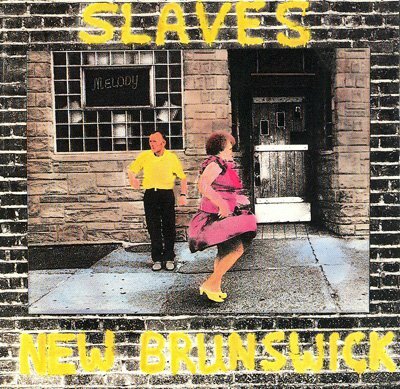 Order 'Slaves of New Brunswick' by Glen Burtnik, available from Amazon.com by clicking on the album cover above! Glen recorded two solo albums for A&M Records, Heroes and Zeroes and Talking in Code. When going out on his own didn’t work out as hoped, he received a phone message one day from Dennis DeYoung asking if he would consider auditioning for his band – Styx. Tommy Shaw had moved on to tour with Damn Yankees and the band needed a second guitarist and another songwriter. If you didn’t know Glen before, you’ve certain got good reason to get to know my old neighbor now. By the way, you can see Glen Burtnik live in concert with The Orchestra –featuring former members of the Electric Light Orchestra (ELO and ELO II) – at Ruth Eckerd Hall in Clearwater, Florida on Friday, January 31. Get tickets online at RuthEckerdHall.com.